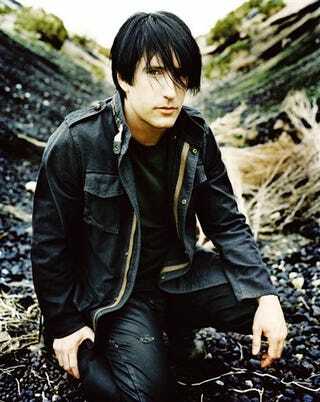 Last year, Trent Reznor recorded 36 instrumental tracks. This year, he's releasing them on the internet, rather à la Radiohead, but without the open price. The collection, entitled Ghosts I-IV is now available in a variety of packages, from a most generous gratis to a nail-bitingly expensive 300 bucks. Find out what kinda nail job you get for your money below. Ghosts I: The first nine tracks from the Ghosts I-IV collection as DRM-free MP3s, plus 40-page PDF. Ghosts I-IV: All 36 tracks in a variety of digital formats, plus a 40-page PDF. A double-disc set, packaged in a Digipak with a 16-page booklet, and immediate download of album. Ships April 8. Deluxe edition of Ghosts I-IV in a "hardcover fabric slipcase containing two audio CDs, one data DVD with all tracks in multi-track format, immediate download of album, and a Blu-Ray disc of Ghosts I-IV. Ships May 1. The "ultra-deluxe limited edition package" is basically the deluxe edition with immediate download, plus a four-LP set on 180-gram vinyl, packaged in a fabric slipcase. Two limited-edition Giclee prints are included; package is numbered and signed by Trent Reznor. Limited to a run of 2500, and one piece per customer. Ships May 1.